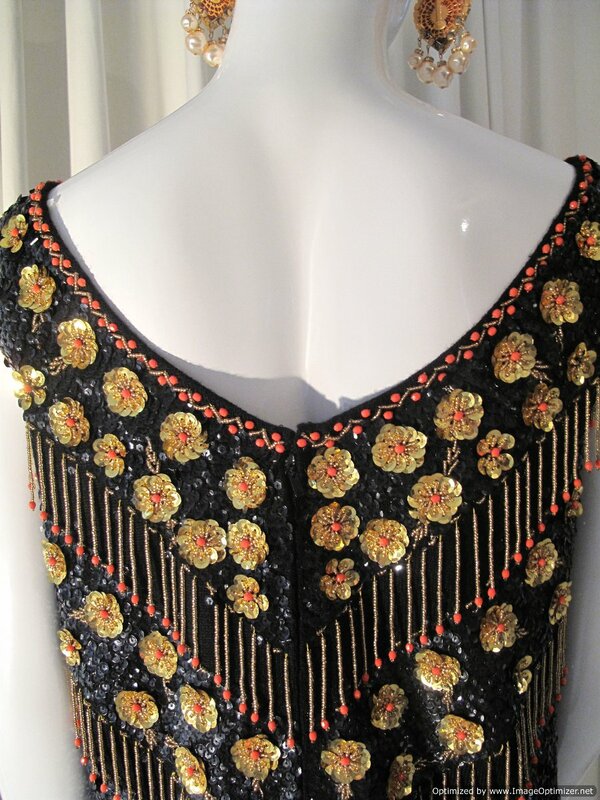 1960's Beaded and tasselled vintage evening top. 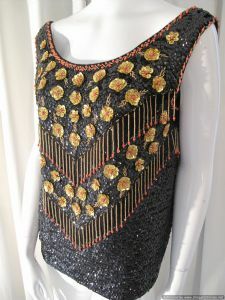 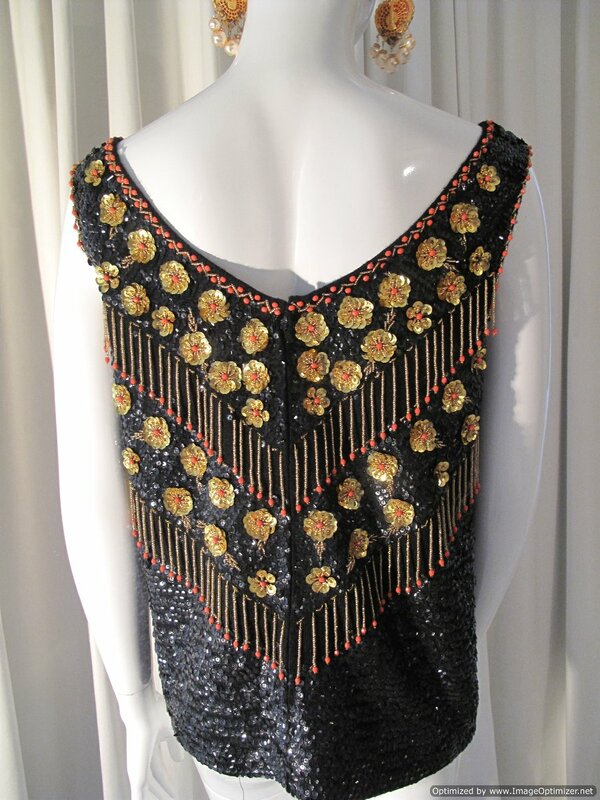 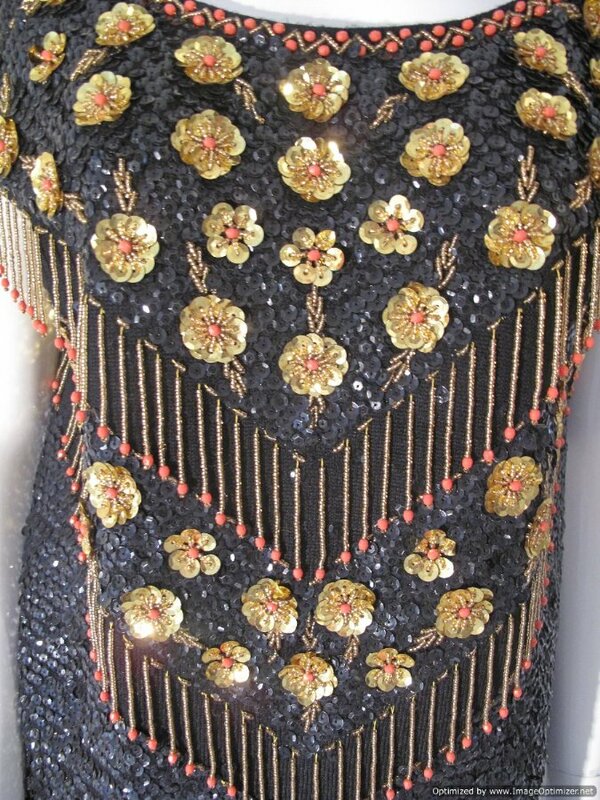 Jet black beaded sequinned top, smothered in cup sequins and chevrons of gold tassels and orange beads and panels of gold sequinned floral motifs. 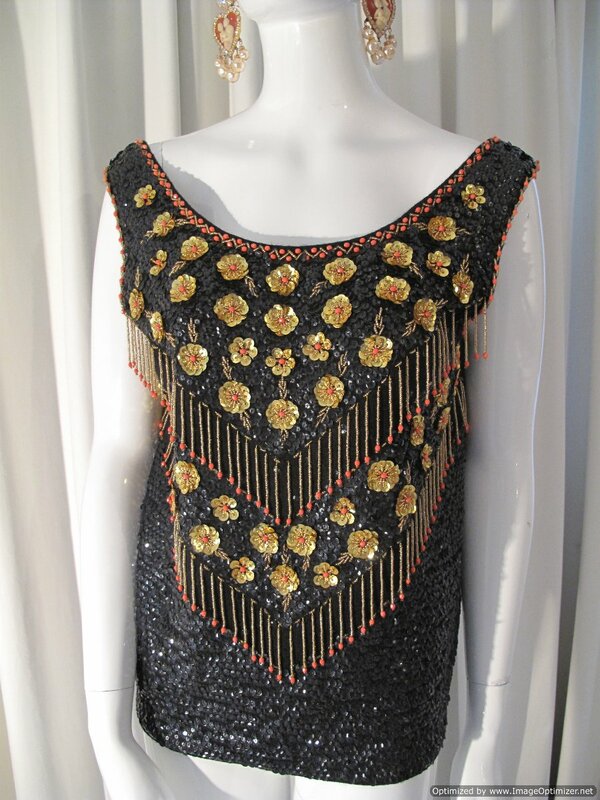 The neckline and armholes have a zig zag orange and gold bead design.